So, this is the first step for design, it’s better to start with a rough sketch of what we are going to do. So, it’s better to designing for the 320 x 480px screen size and then sizing up to 640 x 960px is the better option. Designing for the smallest screen size eliminates the disappointment of losing details when a design must be sized down later. Apple Suggest the above format for applications, they are also providing the UI’s in XCode (Mac editor for creating Mobile apps). 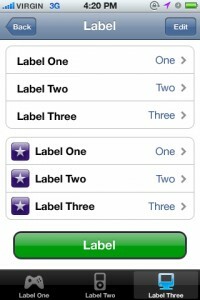 One of the reasons is Apple wants the developers to develop an App without the support of a Designer. In Mobile, we are not using a Mouse. We are using our hand as mouse. So design a link or button should be accessible with finger. So the minimum dimensions for a link is 44 x 44 px as calculated with our exact finger tip size. If we design multiple buttons as we do in Web, it will be very difficult for users to touch the exact point. You should also keep in mind that there is lots of mobiles are in the market and all of them have different screen size, also there is a landscape option for every screen. As we know that we cannot design for all screens, so our design should be compatible on familiar Screens and Landscape modes. Slice up all of the files to ensure all images are sliced out properly to save huge time later. We should give proper naming for all images like prefixing “btn” for all buttons. 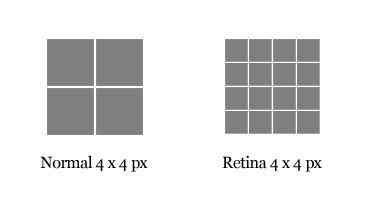 Also there will be an affix @2x for retina images. The mobile Web is different, and may be daunting, but the design process is similar enough for Web designers to ease into mobile design. Designing the perfect mobile website is an impossible task even for experts, but using an iterative user-centered design process can help create the best experience for our users with their help.